The average cost of a new car is over $30,000. Why pay that when you can have any of these gems found by Jalopnik readers for half a grand? What’s The Best Car You Can Get For $500? Why it's a steal: A $500 car isn't going to be the prettiest thing you'll ever own. That's not its job. A $500 beater just has to get you from A to B, not break down too often, and be cheap to fix when it does. That describes FoMoCo's eternal Panther platform pretty nicely. This one in Montana would make an awesome boulevard cruiser. Why it's a steal: Old Jaguars aren't exactly famed for their reliability. But, hey, at $500 you'll have some extra cash laying around for repairs. Pick up this beautiful old XJ6 and even if you can't get it to move you'll still have increased all property values in a 300-yard radius. Why it's a steal: Few cars can match the off-roading prowess of a Jeep, and almost none can match it at a price this low. Head off road in this one and you'll be hearing plenty of clunking noises to distract you from the one already coming from under the hood. Why it's a steal: Ok, this one kind of breaks the rules. It's technically $550. But, if you consider how awesome the guy must be to have built it, surely he's awesome enough to give you a $50 discount. And then you'll be riding around town in a car that is is nothing if not unique. Some might go so far as to call it bitchin'. High praise. Why it's a steal: Yes, yes, it isn't in pristine condition. You'll have to put in a little elbow grease to drive this one. But this is for a car that was just listed amongst the fastest cars you can get under ten thousand dollars. And here it is for 1/20th of that. Practically the definition of a steal. Why it's a steal: To get your hands on this one, you'll need to go pick it up, drop off its contents, and fix a somewhat mysterious problem. Also, you don't get to see it beforehand, because there are no pictures. After your grand adventure, though, you'll have a desirable old brick that cockroaches admire for its ability to live through anything. Why it's a steal: AWD! Reliability! Wagon! Frameless doors! What more can you ask for at $500? Not much. In fact, it looks like somebody already bought this thing. Why it's a steal: You can find a lot of cars for $500 that have an engine in the front. How many can you find with an engine in the middle? Well, at least one, because this Fiero, after a little TLC, will run with its mid-engine brethren like the Ferrari 458 and McLaren MP4-12C. Ok, that's not true. But you're saving a lot of money. Why it's a steal: This Focus is the newest car on the list. It was even born in this millennium! It sports a design that (while a little worse for wear on this example) is still pretty fresh 13 years on. It was, and still is, one of the best driving compact cars around. This one's got a lot of years left in it for this price. 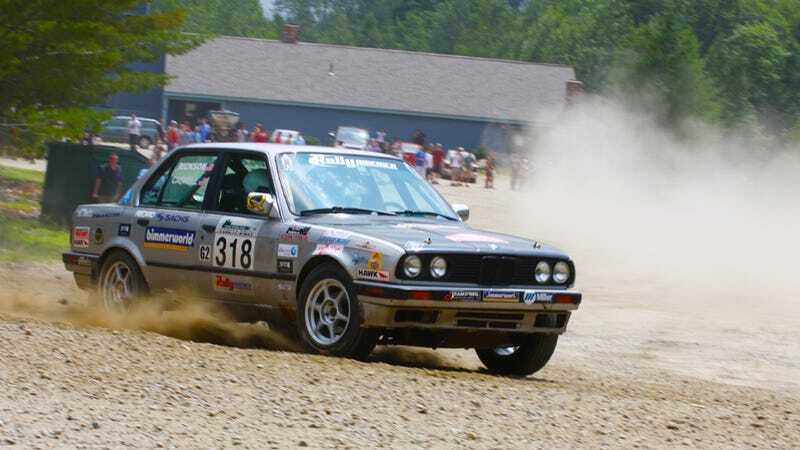 Why it's a steal: E30! E30! E30! So goes the chant of people who haven't looked at E30 prices in a while. While this isn't an E30, it's still a remarkably clean and good-looking old BMW coupe. This one will require a little work to make it road worthy, but once you're out there, you'll be having so much fun you'll wonder why people keep going on about adding 9 to your E21.